Although strong and powerful, gorillas are generally gentle and shy. They live in groups of 2-40 individuals, averaging about 11. 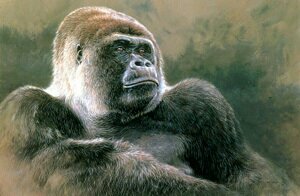 Groups are led by a dominant male, the silverback, named for the silvery gray hairs that grow when the male matures. 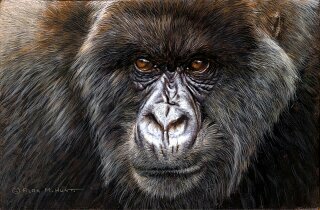 The silverback serves as the chief leader and protector of the group, to whom all group members defer. He decides when and where to forage, rest and sleep, arbitrates disputes among his family members and protects them from rival silverbacks or human predators. 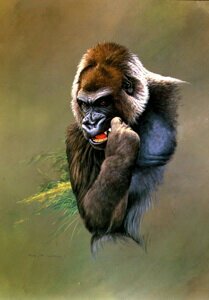 It is perhaps surprising that an animal as large and strong as the mountain gorilla is primarily an herbivore. 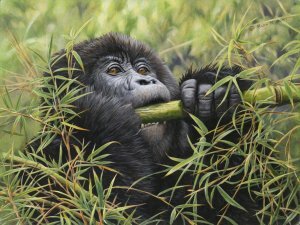 Mountain gorillas eat over 100 different species of plants. They rarely need to drink since their diet is so rich in succulent herbs, from which they get their water. The primary threat to mountain gorillas comes from forest clearance and degradation, as the region's growing human population struggles to eke out a living. The African Wildlife Foundation (AWF), in collaboration with Fauna and Flora International and World Wide Fund for Nature, established the International Gorilla Conservation Program (IGCP) to safeguard the last remaining mountain gorillas. IGCP works on three levels: Strengthening gorilla habitat protection through regional collaboration, researching the dynamic between the human population and the natural habitat/wildlife, and working with local communities to develop livelihood strategies that are complementary to conservation objectives. This coalition has been a tremendous success, but support is still greatly needed. 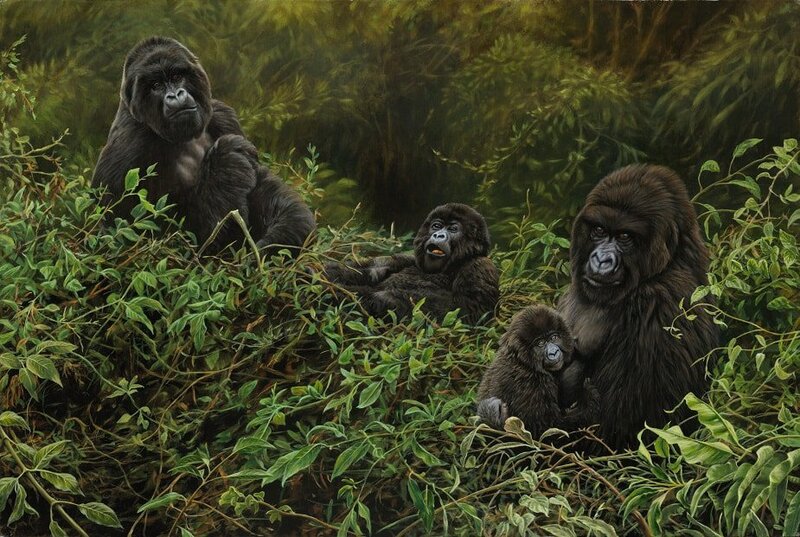 The most endangered of the gorilla subspecies, only about 720 mountain gorillas remain in the wild. There are only about 720 mountain gorillas left in the world. Humans and gorillas are 98% genetically identical. Male silverback gorillas can weigh 50-100 pounds more - and are about 10 times stronger - than the biggest American football players.